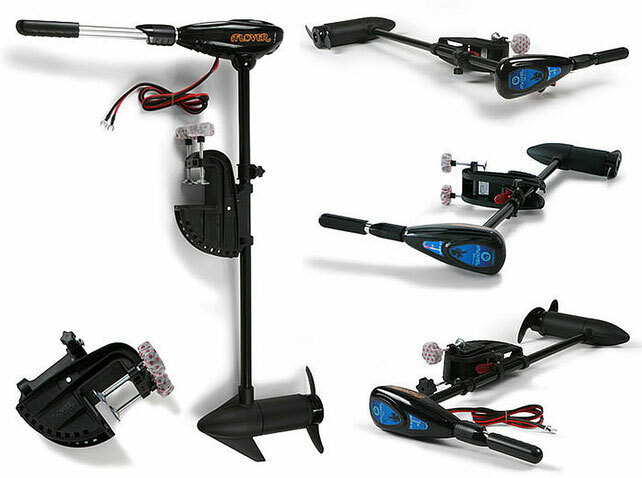 On this page you can find and free download instruction manuals and spare parts lists for Flover electric outboard: Flover 33 F, Flover 40 T, Flover 45 T, Flover 50 TG, Flover 55 TG. FLOVER is a division of a large South Korean automobile concern, CSM TECH CO., LTD.
With its vast experience and knowledge base in electronic technology and the automotive industry, the FLOVER group has created electric outboard motors that meet the highest requirements and allow you to use them with complete confidence in any place and for solving any problems. Under the FLOVER trademark, outboard electric motors of high quality, of various capacities and in a wide price range are produced. Among the proposed models, you can choose and buy a boat outboard motor FLOVER for both river and sea vessels, yachts, boats or boats, for fishing or traveling. Very low noise. You will be able to move completely unnoticed! The special design of the screw makes it almost impossible to wrap algae. T - motors with a telescopic handle.